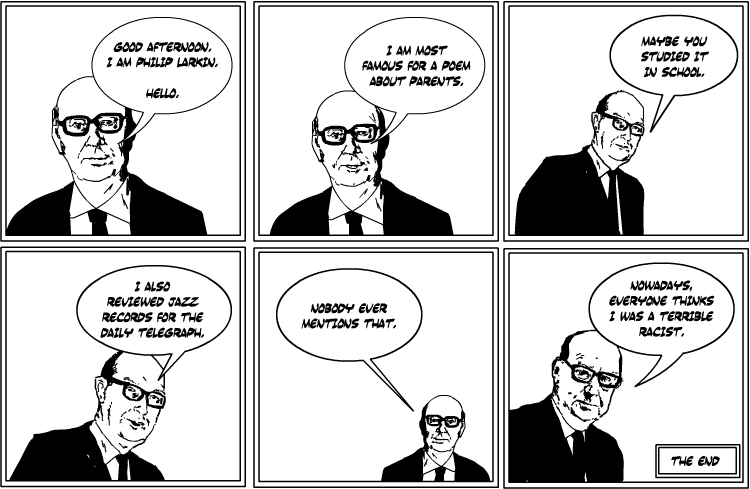 Here are some comic strips about Philip Larkin. Read them. And here is Philip again, this time as a boiled egg. And here is Days, which is a good poem.